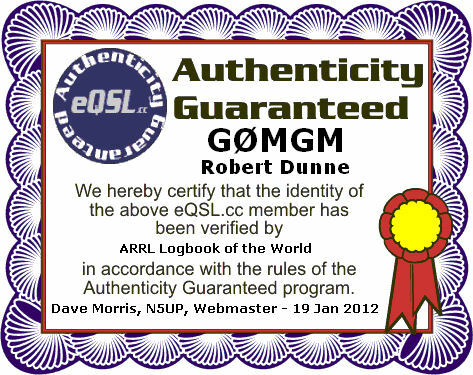 I QSL mainly via LOTW and eQSL but I am also happy to do the normal way of real QSL cards. I am a member of the radio society but DO NOT use the BURO as it can take a long time to exchange cards. 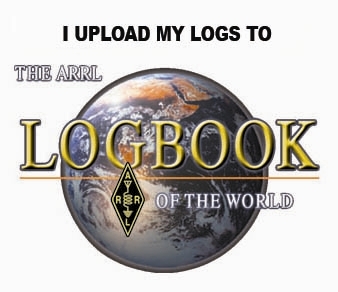 If you wish to QSL please do so direct to my QTH enclosing a addressed envelope. Since you have sent me a card I will reply 100%. Please NO IRCs, our Post Office no longer accepts IRCs, instead send 2$. veo que tienes un web muy guapo! Muy bien, ha sido un placer los qso en FT8 en 2, 70cm y 6mts. Por cierto, yo también hago mucho RTTY por lo que si quieres, probamos en 2mts esta noche, como quieras.